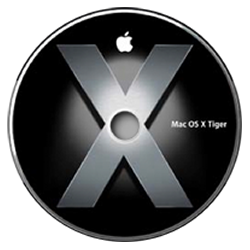 Original Apple OEM OS X Tiger Install and bundled software Applications discs for the original Mac Pro 2006 -2007. Replace your missing discs and restore your OS and bundled applications. Includes Apple Hardware test version 3A109. Only compatible with the following MacPro1,1 machines and will not work on any other Apple computer. OEM install discs for the original Apple Mac Pro in stock and ready to ship. The image is for illustration only.